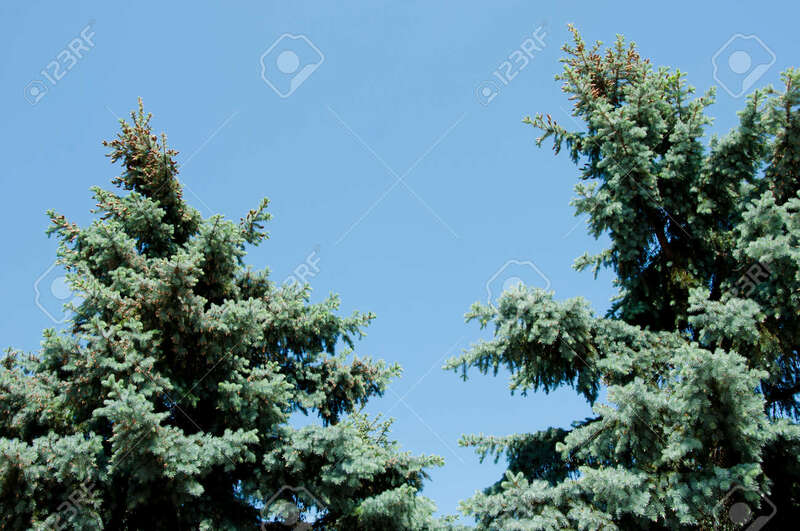 Green Pine Tree Top On Blue Sky, Copy Space. Nature And Environment.. Stock Photo, Picture And Royalty Free Image. Image 103285897.